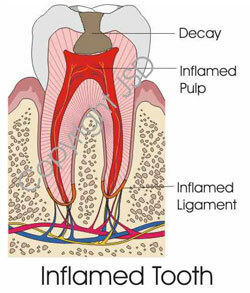 Endodontics is the diagnosis, management, and treatment of diseases of the pulp and surrounding bone of the tooth. 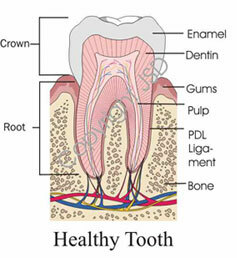 The pulp is the tissue inside the innermost part of the tooth. This is commonly referred to as the root canal–consisting of blood vessels, cells, and nerves of the tooth. An endodontist is a specialized dentist with an expertise in maintaining teeth using endodontic therapy–or procedures involving the pulp of the teeth. These endodontic procedures are done to remove infection, alleviate discomfort, and help preserve teeth. The word ‘endodontics’ originates from the Greek words endo meaning ‘inside’ and odons meaning ‘tooth’. Endodontists complete 2-3 years of advanced dental education and training beyond dental school to specialize in diagnosing and treating diseases of the pulp and surrounding bone of the tooth. Because of the highly specialized focus of endodontists, many dentists choose to refer patients in need of root canal therapy or particularly complex treatments to endodontists.